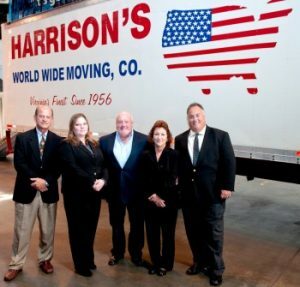 Harrison’s Moving & Storage has been moving Tidewater’s families since 1956. Unlike those large, impersonal, national companies, Harrison’s, a full service mover, prides itself on working with you to customize your moving experience to meet your specific needs and exceed your moving expectations. Our reputation has earned us respect from across the country and around the world. We are your leaders in corporate relocations. The logistics of commercial moving is complicated. 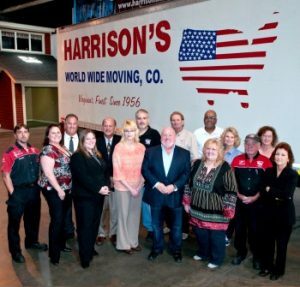 The full-service movers at Harrison’s have flexibility in staffing and equipment to be specifically responsive to your unique commercial moving requirements. Our local moving company is ready when you are ready to move. We will see you from start to finish for your entire move. Contrary to the practices of those big name national companies, we pride ourselves on always being able to work with our clientele to customize your moving experience to meet the specific needs of your move. We have earned the respect of people across the United States and all over the globe. We are a leader among Virginia moving and storage companies that meets the military standards. No matter if your next duty station is in Virginia or halfway across the globe, we pay attention to the small details so you don’t have to worry about them blowing up into major ordeals. Contact us to be your next moving company. You will enjoy the personalized service you get with us at Harrison’s Moving & Storage.